One of the main functions of art is to inspire. Whether that inspiration be the feeling of emotion, the exploration of a new train of thought, or the encouragement to pursue a new interpretation – that inspiration is a vital part of the enjoyment of the original piece. 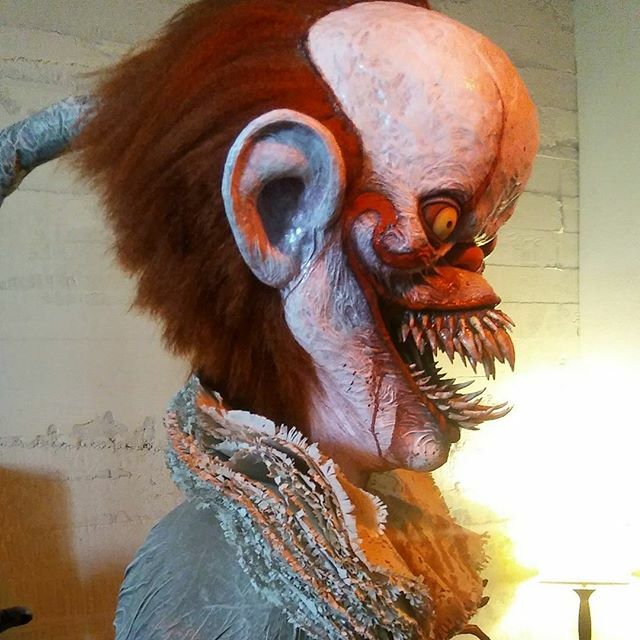 2017’s It, directed by Andy Muschietti, has landed in an interesting spot in terms of inspiration, itself being a new interpretation of Stephen King’s original novel, while also being inspiration to other artists. One of those other artists now has a piece on display in Santa Monica’s Copro Gallery – and it’s truly a striking installation. 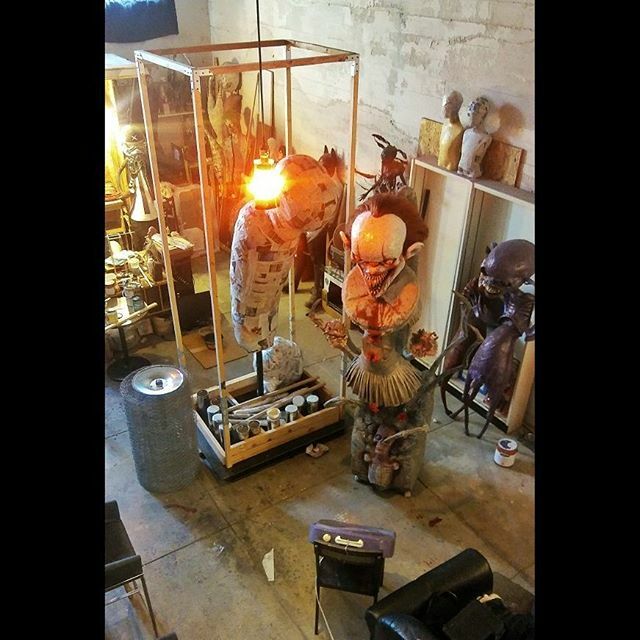 The artist in question is El Mescalito, who produces sculptures and artwork that is often tied to pop culture icons – including delivering a recent event based around Batman. 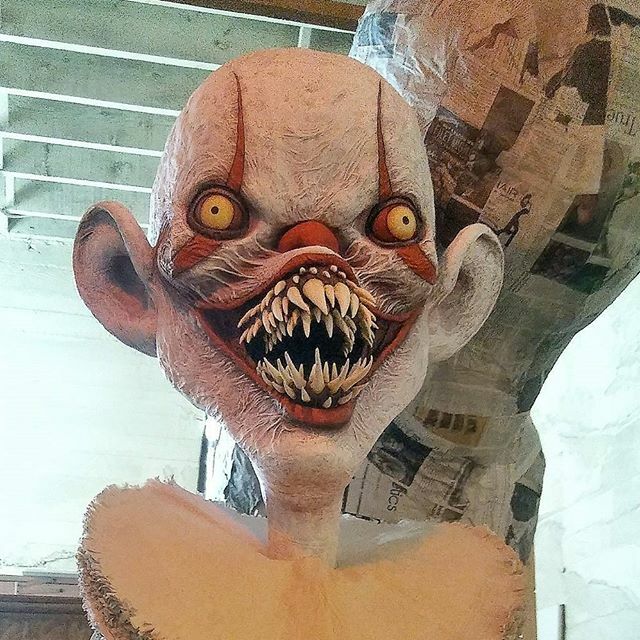 It’s this Pennywise interpretation that currently holds the attention of fans, though, standing, as it does, at 9 feet tall. The piece is constructed largely from papier-mâché and has been included in the ‘Conjoined 8’ exhibition at the Copro Gallery. Its price tag is $4,000 and it’s unclear as to whether any brave collector snapped the sculpture up after the exhibition’s opening night last week. Regardless, you can check it out in all its glory down below. The grotesque beauty of this sculpture is in the representation of the artist’s view. 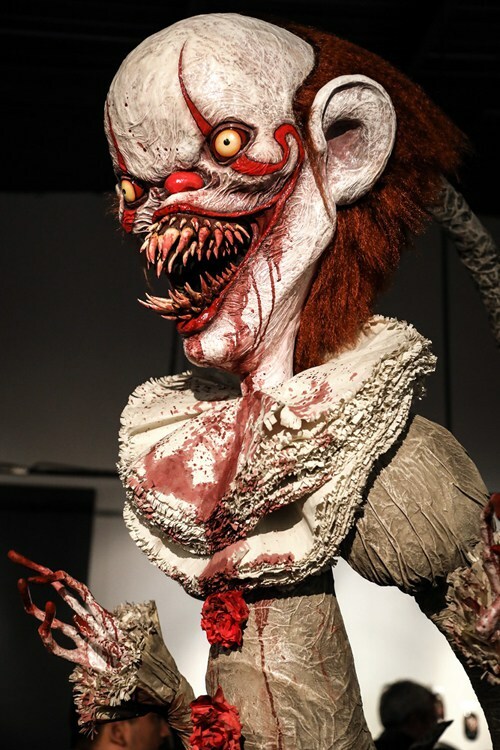 As we know, Muschietti skirted around the 1990 Tim Curry version of the child-eating clown and returned to the source material instead, making his film a re-adaptation, rather than a remake. 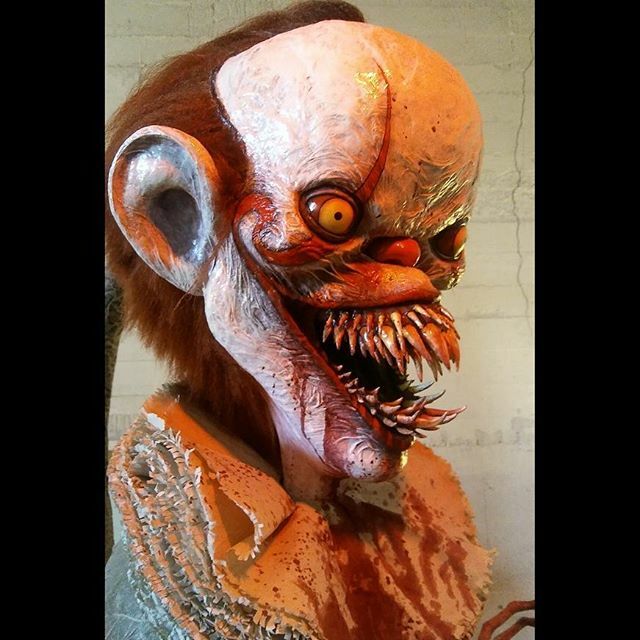 This saw the director take Pennywise back to a grubby Victorian era clown costume, while retaining the extending jaw and extra teeth. El Mescalito has incorporated this costume element, while exaggerating certain facial features. This interpretation has bigger ears, a different hair-style and what appears to be an almost recessed nose, giving way to more bulging eyes. 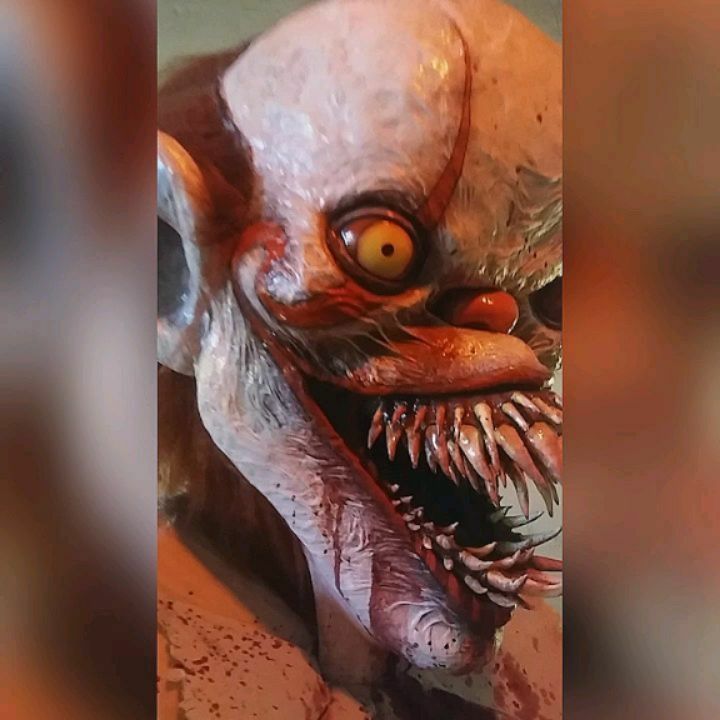 It most closely resembles Muschietti’s Pennywise in the scene in which he attacks Eddie Kaspbrak in the Niebolt Street kitchen – although even this is slightly different. It’s the base of the sculpture that provides the most interesting insight, though, given that it incorporates probing limbs that resemble spider legs. 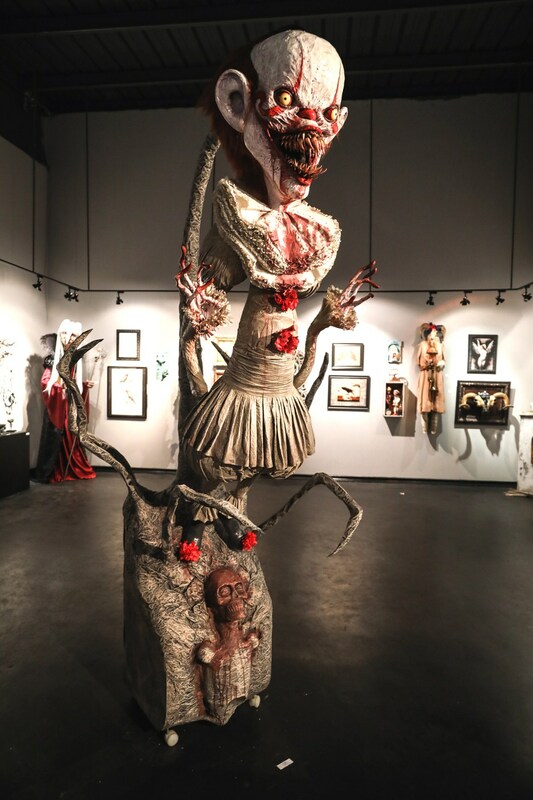 This suggests that El Mescalito’s Pennywise sculpture is a marriage between the version as delivered by Muschietti’s It, and the images conjured in the artist’s head by reading the original Stephen King novel. Whatever the combination of inspiration at work here, the sculpture is unarguably fascinating.